Effective traffic enforcement is the most important requirement for road safety. We can have the best Rules of the Road, but if these are not enforced effectively, we will continue to have an increase in fatal accidents on our roads. Traffic enforcement is threatened by the crime of corruption, and it is important to understand the nature of such corruptions and the strategies to fight this evil. Corruption or bribery is described in legal terms as the practice of tendering [and accepting] a private advantage for the performance of a duty. This has also been described as the abuse of entrusted power for private benefit and basically entails an official doing, or not doing, something for some sort of gain. Where the levels of corruption are high it is indicative of low levels of respect for the law. The impact of corruption increases risk of unsafe conditions on both our roads and transport systems. On a grand scale, money intended for maintenance of roads or service provision and the upgrading or provision of facilities is diverted for private gain. On an immediate level, unqualified drivers and unroadworthy vehicles are granted licenses. This is clearly illustrated by the revelation from the Road Accident Fund that up to an estimated R500 million per annum that could be used to compensate claimants was in fact lost to fraud and corruption. The Road Accident Fund has since invested millions in the fight against fraud and corruption as a management tool. The effect of corruption is not only a loss of state revenue. When corrupt officials allow motorists who speed, or who are driving vehicles that are not roadworthy, to proceed with their journey, the consequences for other road users are potentially disastrous. A breakdown in public trust of the integrity of traffic officials is also likely to result in an increase in lawlessness among road users. Studies on crime in South Africa revealed that corruption was most evident in encounters with traffic officials, followed by the police, and then during interactions with officials over employment opportunities. This support the perception that corruption is a problem in local government traffic departments, municipal police services and the SAPS, and highlights the discretionary power of some of these officials. For example, the public largely interacts with traffic officials on the road where the actions of corrupt officials are difficult to monitor. How does corruption manifest in the field of traffic enforcement and road safety? Bribes are often demanded in situations where road users have committed an offence such as speeding, overloading, or driving unlicensed or unroadworthy vehicles. Bribery in these instances may be used to ensure that the offender escapes a stiffer penalty (i.e. a R100 bribe is requested when the alternative is to pay a legitimate fine of double that amount). The most commonly paid bribe was for traffic fines, driver testing and licensing irregularities. Certificates of roadworthiness are issued without the said vehicles undergoing the necessary roadworthy tests. Money is received in return for assisting applicants for learners licence tests to cheat in their exams. Car sellers often attempt to bribe examiners to overlook a certain component or else to push through a marginal case. Car sellers often try to buy “paper’ certificates. That is, a certificate provided without testing or examining the vehicle at all. Car sellers will sometimes put testing stations under pressure if they do not pass their vehicle then they will take the business elsewhere. If a vehicle fails a roadworthy test, the client often takes the vehicle to another testing station where they know the test is less strict. A vehicle might be checked and (correctly) passed, only for some of the components to be switched before the vehicle is sold. The seller shows the prospective buyer the certificate and a deal is made on that evidence. The tyres, for example, may have been swapped with worn tyres after the test. Each vehicle examiner has an examiner's code that appears on the examination sheet. Unscrupulous examiners will sometimes use another examiners code and name when passing non-roadworthy vehicles. Government has acknowledged the existence of corruption and the threat that this pose towards road safety. The Road to Safety Strategy puts a high priority on co-ordinated action in all the key areas of road safety: law compliance, driver fitness and training, vehicle condition, fleet regulation, overload control, pedestrian education, direct community road safety participation and active passengers and public empowerment. Vehicle testing and safety has also become a top priority for Government, as demonstrated by the Operation Juggernaut and other campaigns. This included the screening of vehicles, issuing of fines and removal of unroadworthy vehicles. Sweeping amendments to the Road Traffic Act are also considered that will prevent a person who fraudulently obtains his or her driving or learner's licence from re-applying for such licence for a certain period of time. Zerk Bester, Deputy-Director in charge of the Special Investigation Unit [SIU] explained how the Unit attempts to combat Corruption. He revealed that the key objectives are to identify and cancel invalid licences, to create a deterrent to prevent officials from participating in fraudulent activities and to address weaknesses in the control environment. Some of the improvements facilitated by the SIU include ensuring that testing functions are taken over by qualified personnel at Drivers License Testing Stations [DLTCs] identified as employing unqualified staff, implementing document control systems at DLTCs, training filing clerks to comply with the requirements of the National Road Traffic Act and repairing defective testing equipment. General awareness among officials regarding the efforts and successes of the SIU has contributed in no small part to its ongoing success. The Minister of Transport has stated that the Special Investigation Unit’s visibility at DLTCs when auditing files and instituting action against corrupt officials has resulted in heightened awareness – among both officials and the public – of the consequences awaiting those who involve themselves in fraudulent and corrupt practices. The availability of appointments is determined and managed by the eNaTIS. As a result officials at driving licence testing centres (DLTCs) will not be able to give preference to specific applicants by reserving appointment dates or times for them. The system determines the earliest available appointment date and time for an applicant. Unfortunately, in the past a few unscrupulous officials abused their position by accepting bribes to provide bookings to applicants. This will no longer be possible. The booking system calculates the number of available test appointments at any given DLTC based on the capacity of the centre in question. This capacity will be determined and set up by the Inspectorate of Driving Licences, and examiners will be unable to perform more tests than the number allowed. Information about examiners who will be conducting specific tests will not be available to applicants (and vice versa). Only on the day of the test will this information be made available. This will eliminate the abusive practice where certain applicants are tested by specific examiners who have been bribed to pass them. Anonymous applicants will not be able to make block bookings. This will prevent unscrupulous driving schools from bribing officials and ‘hogging’ test slots, even though they may not have applicants to fill those slots. The scheduled test times and dates are visible to the Inspectorate of Driving Licences and the Department of Transport’s Investigations and Forensics Sub-directorate. This will provide additional audit information on examiners and controls on applicants they have tested. It is not possible to capture test results or the issuing of a licence on the system if a test appointment was not made. In the past applicants were marked as having passed although an application for a test was never made. Diaries of examiners will be fully controlled by DLTC managers/supervisors. The additional management involvement will compel examiners and management to work together, thus improving accountability and also providing a structured work environment. Since the booking system does not allow the replacement of one applicant with another for a specific test, corrupt officials will no longer be able to do so in return for bribes. All booking transactions performed will be audited and available for management reports. Government and Road Safety Authorities have welcomed media institutions or anyone else who wishes to help stamp out corruption and have offered to cooperate and give assistance to them to fight the common enemy of corruption. The whistle-blowing facility, managed independently of the Road Accident Fund. The National Traffic Call Centre Managed by the Road Traffic Management. The purpose of the Call Centre, as identified in the Road to Safety 2001-2005 Strategy as part of the Arrive Alive Road Safety Campaign is to, with the assistance of commuters and road users in general, amongst others identify fraud, bribery and corruption in traffic management, control and law-enforcement. The identification of nine project teams to ensure that the Road to Safety Strategy is implemented, including one for Fraud and Corruption. The biggest concern raised in this invitation for public involvement is that many citizens do not know how to report corruption, do not believe that doing so will change anything, and, despite good whistleblower provisions, are afraid of the consequences if they do report. In the long term, the public need to believe that their actions will result in speedy investigations and when appropriate, prosecution and conviction. One way of doing this is to inform citizens of convictions achieved as a result of information provided by whistleblowers. The more complex issue is dealing with the fear of reprisal. The SA Law Commission is reviewing ways to improve the Protected Disclosures Act that should hopefully see whistleblowers, particularly those in the workplace, making better use of this instrument. As long as there is no respect for the rule of the laws of the road, the road will be an unsafe place. It is important for all road users to be aware of the dangers of corruption – and not to endorse corruption through their own conduct. Corruption not only is to be found in the actions of the official who asks for or receives the bribe or benefit – but also on the part of him who offers the bribe. The Arrive Alive Road Safety website would like to support all efforts aimed at combating corruption and would like to offer assistance in facilitating communication from the public to blow the whistle on these offenders. 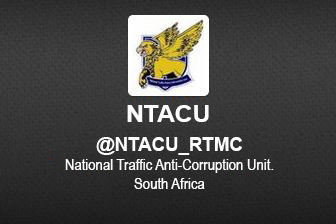 Another new development at the Road Traffic Management Corporation is that the National Traffic Anti-Corruption Unit has introduced their Twitter handle @NTACU_RTMC and e-mail address ntacu@rtmc.co.za where the public is encouraged to report traffic related fraud and corrupt activities. Corruption is the abuse of public resources or public power for personal gain. Corruption Watch is concerned with any such abuse by anyone at any level of government or in business. The first step in bringing an end to corruption starts with you: obey the law and encourage those around you to do the same. 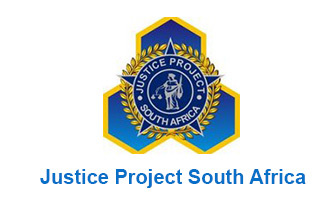 Justice Project South Africa is a non-profit company, duly registered in terms of the Companies Act, 2008 and is primarily involved in the prevention and addressing of corruption and power abuse in law enforcement as well as in the education of the public in a wide range road safety issues.